Agilent Technologies Blog Agilent Wins *TWO* 2017 Innovation Awards! Home > About Agilent > Newsroom > Blog > Agilent Company > Agilent Wins *TWO* 2017 Innovation Awards! 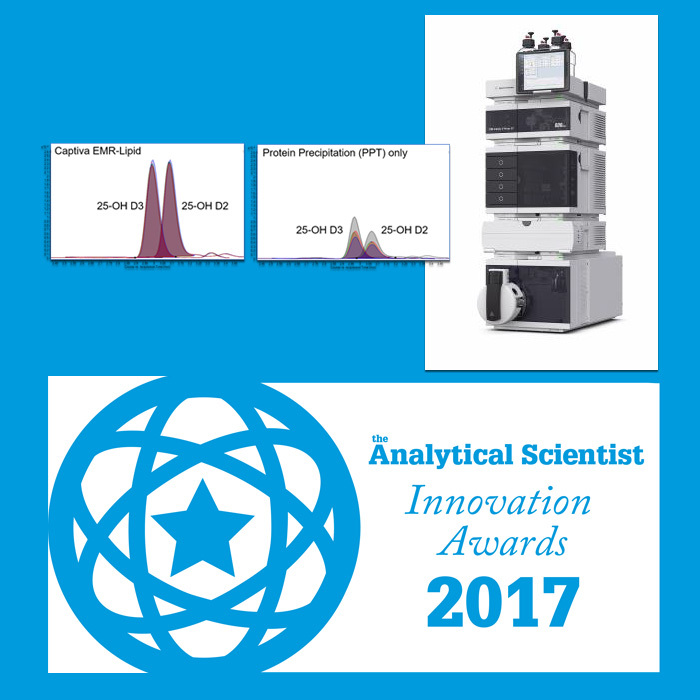 Two Agilent products have won “The Analytical Scientist Innovation Awards” for 2017. Every year, industry journal “The Analytical Scientist” recognizes the top 15 innovations in analytical chemistry. For 2017, Agilent has captured two of the 15 TASIAs. When laboratories try to analyze plasma and whole blood samples, the presence of lipids can cause adverse effects. These fatty molecules can reduce sensitivity, negatively affect data and even contaminate instruments. The Agilent Captiva Enhanced Matrix Removal-Lipid provides for highly selective, efficient and easy lipid removal from complex samples. The Agilent Ultivo Triple Quadrupole LC/MS delivers the performance of a traditional high-end liquid chromatograph QQQ in one third of the laboratory bench space. This next-generation instrument is easier to use and costs less to operate. I have blogged about Ultivo here.